Kristine grew up in Cobb located in Lake County, California. She recently graduated from the University of San Francisco, with a bachelors of science in Health Services. 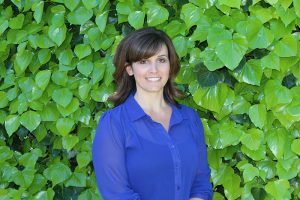 She has extensive knowledge and experience as an Ophthalmic Assistant, having worked in the field at various practices in the Bay Area for more than 15 years. Kristine joined MarinEyes in 2010. In December of 2012, due to her technical expertise and dedication to patients she was appointed Director of Technical Services. Kristi takes pride in the services MarinEyes offers, making sure the team of technicians are all highly qualified and trained in every aspect of patient care. She pays special attention to LASIK, cataract and other surgical patients to ensure they have a comfortable experience. Kristine lives in Cotati with her husband and young son. They enjoy motorcycle rides together and walking their two miniature dachshunds. Santa Rosa Junior College, Santa Rosa, California – A.A.